Teshka Elessamorn—nicknamed "Thorn" for her short temper—was the last child born to her homeworld before the Varelsi claimed it. Armed with her longbow, Kreshek, she now ranges the wilds of Ekkunar, fueled by her own boundless fury. 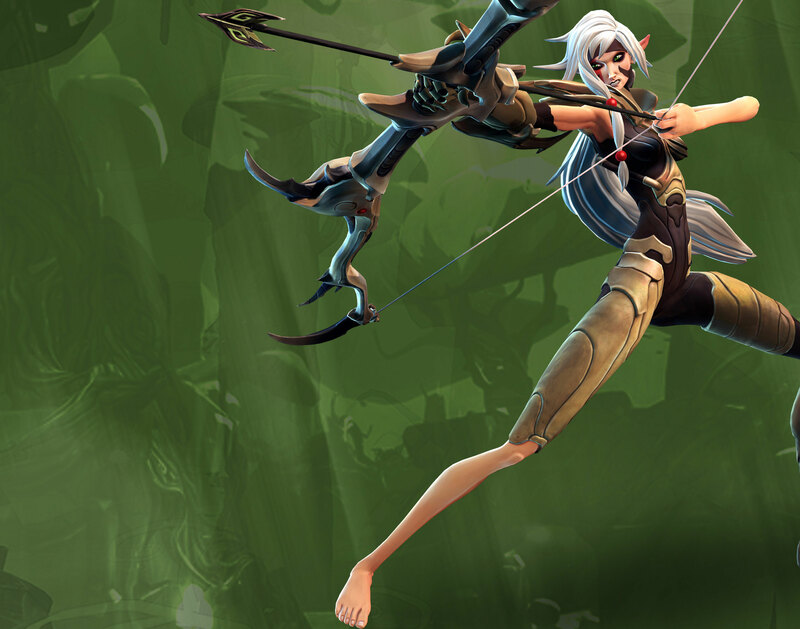 Thorn's devastating Ekkuni longbow can be augmented to increase damage, range, and accuracy. Ready and hold an arrow to charge it. Thorn carries no shield, relying instead on rapid health regeneration to survive in combat. Fires a horizontal swath of arrows, each dealing damage. Volley arrows ricochet off of world terrain. Summons a temporary field of corruption. Enemies caught within this field take damage over time. After a brief charging period, hurls a massive energy bomb that explodes, damaging and knocking enemies backward. Enemies hit with a charged arrow are cursed for several seconds. Skills and charged arrows deal additional damage to cursed targets. When Thorn is touching Blight's field, all of her arrows become cursed. Volley arrows curse targets on hit. Increases curse duration on enemies. Blight's area of effect of damage is increased. Increases the accuracy of Thorn's standard arrow attack. 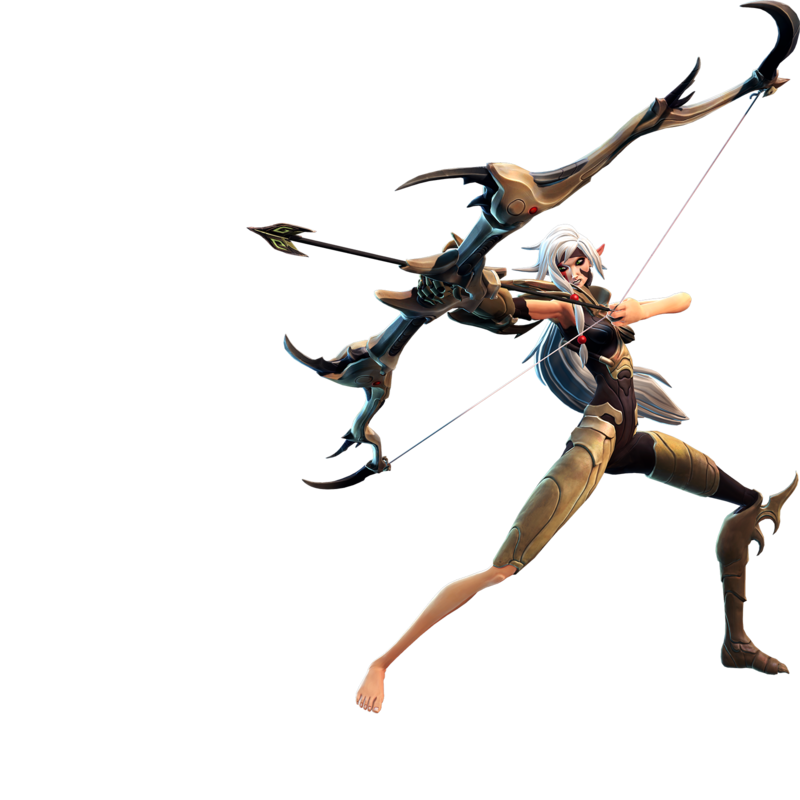 When Volley deals health damage to an enemy, a portion of Thorn's health is restored. Volley arrows can go through multiple targets. Thorn receives a short speed boost when touching Blight's field. In addition to dealing damage, Thorn's melee attack now propels her backwards. Volley shoots two additional arrows in a wider arc. Curse status deals additional bleed damage to afflicted enemies. Volley's cooldown time is reduced. Increases the height of Thorn's jump. Blight can be summoned at greater distances. Wrath of the Wild leaves a Blight field behind after detonation.